How do we find buyers for you? Did you know that nearly 90% of all home buyers start their search on the Internet? That’s why it’s critical to work with a team that knows how to use this powerful venue effectively. 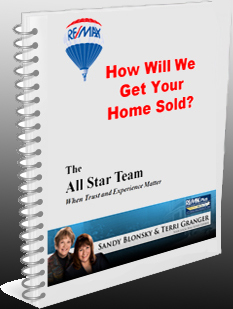 At The All Star Team, we have websites that attract the majority of on-line searchers looking to buy a home in Rochester. When you list with us, your home will be featured on these sites, reaching motivated buyers everywhere. That’s just one of the ways we attract buyers to the Greece real estate market. Below are the eight most effective tools we use. Our Extensive Web Presence. Nearly every buyer looking for a home in Rochester lands on one of our powerful websites including www.findhomz.com, www.homesteadnet.com, and www.RochesterHomesPlus.com and At these sites buyers can search for homes just like the Realtors do. We match so many buyers with sellers, we have developed a reputation as the “go-to” agents for Greece New York home sales. In addition, we market homes on Craigslist, Trulia, Zillow and YouTube. Exclusive Marketing Plan - Click here to download now. Comprehensive Online Videos. Buyers can see every room in the homes they are considering right from their computers or mobile devices. 24-Hour Mobile Text Information. Texting is today’s muse. Each of our “for sale” signs shows a number for potential buyers to text to receive immediate information about a listed home. Exclusively for Greece home sellers, request instant access to this invaluable home selling plan!